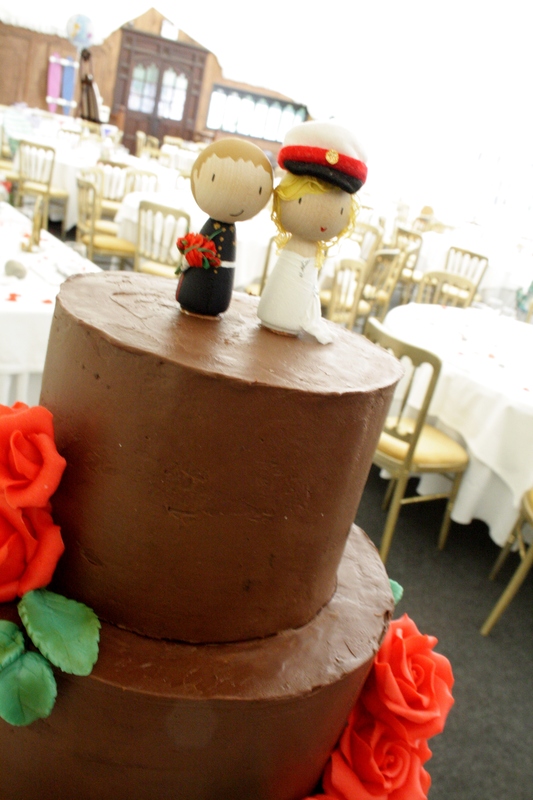 Five Tier Wedding Cake at Broyle Place, Ringmer, Lewes, East Sussex – Decorated with Belgian Couverture Chocolate whipped Ganache and hand moulded Pillar Box Red Belgian Chocolate Roses and Leaves, finished with gorgeous personalised cake toppers from Peg It Dolls. 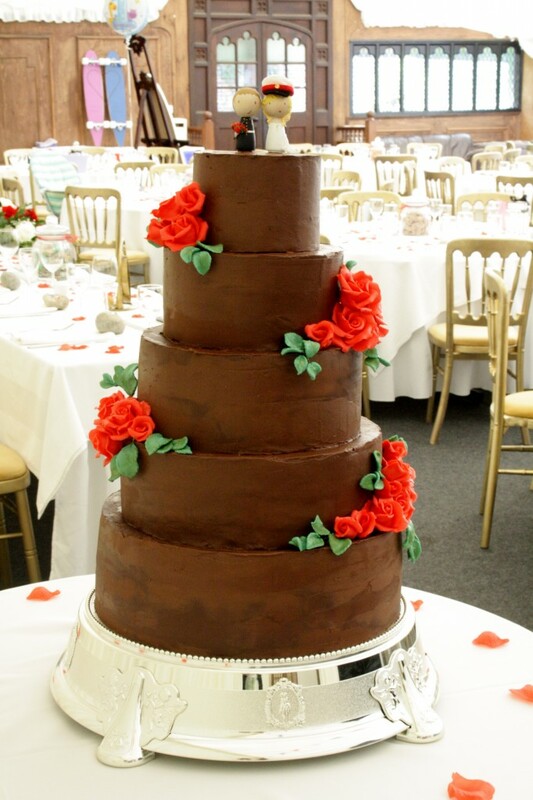 Base Tier, Tier Two and Tier 4 of Belgian Couverture Chocolate Sponge with whipped Chocolate Ganache filling, Tiers One and Three of fresh Vanilla Sponge with Raspberry Conserve and Madagascan Vanilla Bean Paste whipped buttercream. Served as dessert, providing 170 dessert portions.